ATTENTION FOOTBALL FANATICS!!! Let’s celebrate 2018 World Cup with Soccer Mania together! Pick your favorite world cup dream team and play as a famous footballer with your phone. 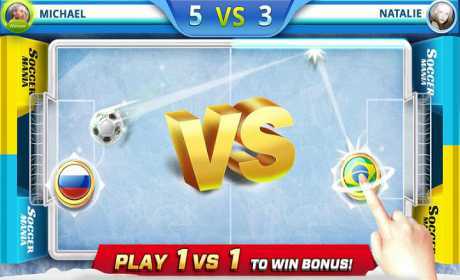 Soccer Mania is a multiplayer soccer game with simple gameplay and great physics, where players play against competitive opponents all over the world for online soccer matches. You can also play offline against friends in the same device to show them what it means to be a soccer champion! 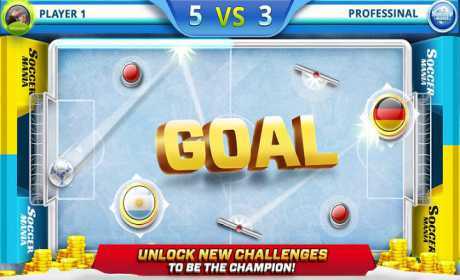 Smash the football and score goals in this addicting soccer game. Choose your favorite world cup dream team and defend your nation’s colors! What are you waiting for? Everyone else is already playing Soccer Mania! Don’t miss out on this chance to have tons of fun!